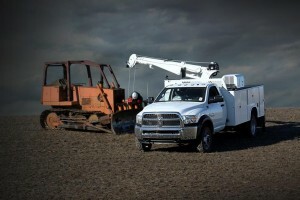 For Atlanta businesses, it doesn’t get much better than an RAM Heavy Duty truck or van for work. 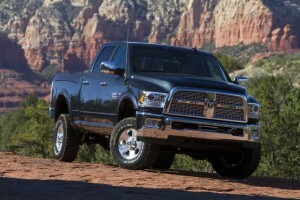 In 2015, RAM lead its classes where it mattered most in power and towing. The 2016 line takes what the previous year did so well and builds on it. “RAM is committed to engineering and innovation leadership, which includes a four-pillar list of best-in-class titles: fuel economy at 29 mpg; torque which we increased to 900 lb.-ft.; payload at 7,390 pounds and towing, for which we’ve set a new high point of 31,210 pounds,” Bob Hegbloom, President and CEO — Ram Truck Brand, FCA North America, said. Ram 2500 and 3500 Heavy Duty trucks offer more innovative features than the competitors’ trucks, including a five-link coil suspension with optional air suspension on Ram 2500 and a supplemental air bag suspension option on Ram 3500. For Atlanta businesses that need that extra boost, the 2016 RAM 4500 and 5500 chassis cabs are ready to take your business further. Upfits are the name of the game for these big boys, and Atlanta Commercial Trucks is the source for new upfits. Entry-level trims now have radio available with Bluetooth to keep the office moving with the job. A new option for the 2016 RAM chassis cabs is the ParkSense Package, which now includes a new front park-assist system. This exclusive feature further enhances safe operation and complements the current backup camera offering. This will help keep the roads safer and protect your new RAM truck. 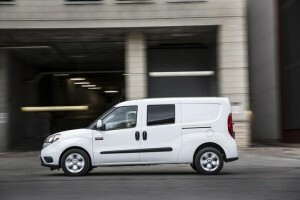 After taking the commercial field by storm in 2015, the RAM ProMaster City returns for its sophomore year. Rule your delivery route with best-in-class payload capacity, cargo area, performance and fuel economy. The handling only gets better with a year under its belt, and the 2016 RAM ProMaster City delivers with functionality and durability. To learn more about the updates and changes for the 2016 RAM commercial line-up, contact Atlanta Commercial Trucks today!